Only when I’d switch on “Show Invisibles” in TextWrangler, I’d see some funny bullet in front of the equals sign. What looked like a regular space character was actually a non-breaking space (Unicode U+00A0, officially called “No-Break Space”, “c2 a0” in a UTF-8 file’s hexdump). 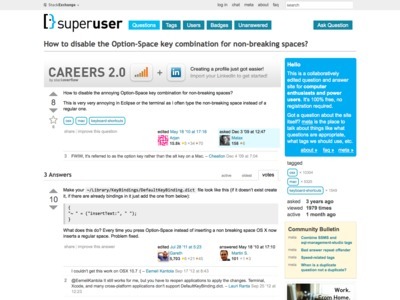 The superuser article How to disable the Option-Space key combination for non-breaking spaces? had the solution: Install the free Karabiner (formerly named KeyRemap4MacBook) (requires a reboot), search for “option+space” in its preferences and check the “Non-Breaking Space to Normal Space” option. Update: KeyRemap4MacBook has been renamed to Karabiner. And here’s a PHP script to find non-breaking spaces in your source code.